Infusing unprecedented sensor data to the cloud, LPWANs enable a whole new level of transparency and efficiency on the factory floor. As the Internet of Things (IoT) ushers in the fourth Industrial Revolution, the global automotive industry cannot afford to ignore this paradigm shift. Nevertheless, with legacy systems in place, the transition to a smart factory – where virtual and real worlds truly converge – can be challenging. Manufacturers often find themselves struggling to find a viable and cost-effective solution to access the data they need – on a granular level. The journey to Industrial IoT (IIoT) and digital transformation starts with connectivity. Cognitive computing, artificial intelligence (AI) and other cloud-based technologies have the potential to support data-driven decision making for unparalleled levels of productivity, quality and efficiency. However, this is unrealistic if Big Data, – the lifeblood of IIoT – can’t be captured and communicated from the beginning. Though optimized for closed-loop process control and automation, Ethernet and classical fieldbus protocols are not designed for aggregating granular data from innumerable, battery-operated sensors at the edge. Current wireless solutions like cellular and mesh networks (e.g. Zigbee, Wifi, etc.) are cost-prohibitive and power-hungry while posing other coverage problems due to cellular “white spots” or limited range. This leaves a persistent gap in a robust, cost-effective and scalable last-mile IIoT connectivity on the shop floor. Purpose built for low data rate, massive sensor connection, Low-Power Wide Area Networks (LPWANs) represent a new, versatile communication layer that fully harnesses IIoT power. LPWANs enable cost-effective data transmission from a scalable number of sensors across the entire industrial complex, while consuming minimal power and requiring the least infrastructure. Additionally, thanks to low device and operational costs alongside ease of deployment, LPWANs alleviate the hassle of transition from brownfield to a digital factory. But how can LPWANs really help auto manufacturers reap IIoT benefits and secure their competitive edge? From environmental monitoring, predictive maintenance to worker safety and energy management – there exists a whole new spectrum of LPWAN-enabled use cases to drive efficiency and reduce waste on factory halls. Preventing asset downtime has remained a top priority for auto manufacturers. Besides extra maintenance and service expenses, the true costs of equipment breakdowns lie in lost production, which incur losses of thousands of dollars every single minute. Combining extensive pools of LPWAN-fueled sensor data with advanced machine learning algorithms, automakers can gain deep insights into their asset health and operations. Abnormalities can be identified to anticipate failures and bottlenecks while allowing planning for predictive maintenance. Reparation scheduling and replenishment of spare parts are hence optimized, thereby avoiding costly asset failures and eliminating redundant regular inspection. Environmental factors can exert significant influences on auto production processes. For example, the slightest presence of dust particles at the paint shop threatens to impact the integrity and quality of a car’s paint job. Similarly, changes in atmospheric temperature at filling stations can cause expansion of liquid volumes, leading to inaccurate fluid injection. Connecting factory-wide environmental sensors, LPWANs help monitor and control optimal external conditions for various production processes. As digital factories continue to be worker-centric according to Daimler, the importance of a safe and productive workplace can never be underestimated. LPWAN-enabled environmental sensors and intelligent devices like wearables now allow mangers to track their employees’ health and work conditions in a non-intrusive and effective fashion. Curative measures can be taken upon first signs of dehydration, fatigue and workplace hazards to secure worker wellness and productivity. Sustainability will be central in smart factories of the future. Aligned with this focus, LPWAN-powered smart meters will be instrumental in improving energy efficiency and reducing environmental footprints. Wireless sub-metering offers unprecedented visibility into energy consumption on process and machinery levels, thereby allowing for effective monitoring of energy flows and consumption patterns to diagnose waste sources and optimize power usage. Taking a leap forward, data streams from thousands of LPWAN-connected sensors can even enable construction of digital twins – virtual replica models of physical assets or processes in near real-time. Enabling timely detection of intolerable deviations in operational parameters, digital twins present opportunities for cost savings and quality improvement in auto production. Amid enormous potential, not all LPWAN technologies are created equally. With a number of protocols – both standardized and proprietary – available in the marketplace, opting for the right solution is vital to the success of your digital transformation journey. At the end of the day, a viable IIoT network must satisfy critical requirements in terms of industry-grade reliability and security, guaranteed network longevity alongside scalability and future expansion. 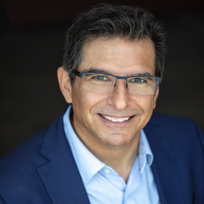 Albert Behr is Chief Executive Officer and founder of Behr Technologies Inc. leading the strategic commercialization of the MIOTY technology for IIoT communications through the development of new products, applications, and global partnerships. During his 30-year career in the technology industry, Albert has led the commercialization, financing, and operational execution of industry-leading companies in global markets.